Kawartha Lakes Mums: School Bus Driver Shoutout!! Crafts, Freebies and Kawartha Lakes Bus Cancellations Info! School Bus Driver Shoutout!! 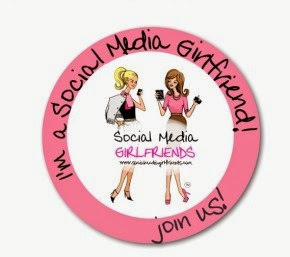 Crafts, Freebies and Kawartha Lakes Bus Cancellations Info! Kawartha Lakes Students Wondering About Bus Cancellations? Sending a shout out to all school bus drivers this morning! Since Weather Network is cautioning Kawartha Lakes drivers about driving conditions, we're sure Kawartha Lakes students and parents are wondering about bus cancellations too. 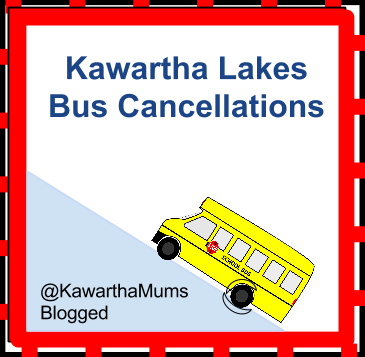 This post contains School Bus Driver related freebies, crafts, a gift guide for School Bus drivers, and info about Kawartha Lakes school bus cancellations. FTC Disclosure: Kawartha Lakes Mums welcomes family friendly advertising including affiliate links that meet with our editorial guidelines. This helps us put food on our table at no additional cost to our readers. How can you know if your bus is cancelled? What should you do if you don't take a bus, but you hear about bus cancellations? How do you cope as a parent with snow days? Kawartha Lakes Bus Drivers - A Hardy Lot! While most of us are still tucked in bed, Kawartha Lakes bus drivers are out, ensuring their buses are safe, warm and ready to welcome their passengers. Most schools in City of Kawartha Lakes are bus schools, and families rely on this hardy set of caring people to safely transport children to and from school- a job that requires being available in the early morning and mid-afternoon, as well as driving roller coaster rolling backroads in some crazy weather! Do you remember a great school bus driver from your years as a student? One school bus driver that is a favourite of our family is also a talented artist and has operated a Folk Art Studio in the rear of her crafts and gifts store in the village of Omemee for many years. Do you know who we're writing about? Yes, it's Joan Rehill at Butternut Folk Art Omemee. Looking to commission an unique gift for Christmas, or learn a new skill? 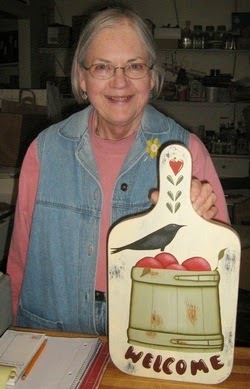 Visit Joan's Website : Butternut Folk Art for contact information. Hooray for School Bus Drivers! Can you imagine how life would be without the care school bus drivers give? What are some gift ideas school bus drivers might enjoy? We like to think a personal touch added to a gift makes it even more welcome. For example, giving a coffee card? 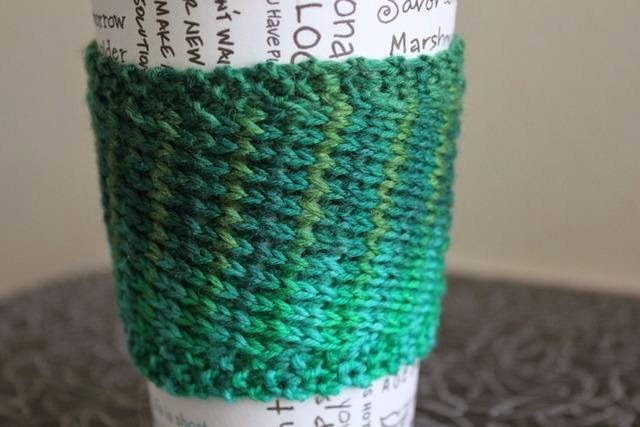 Whip up a coffee cozie! Here are a few freebies, crafts and fab finds you might like to give your favourite school bus driver. 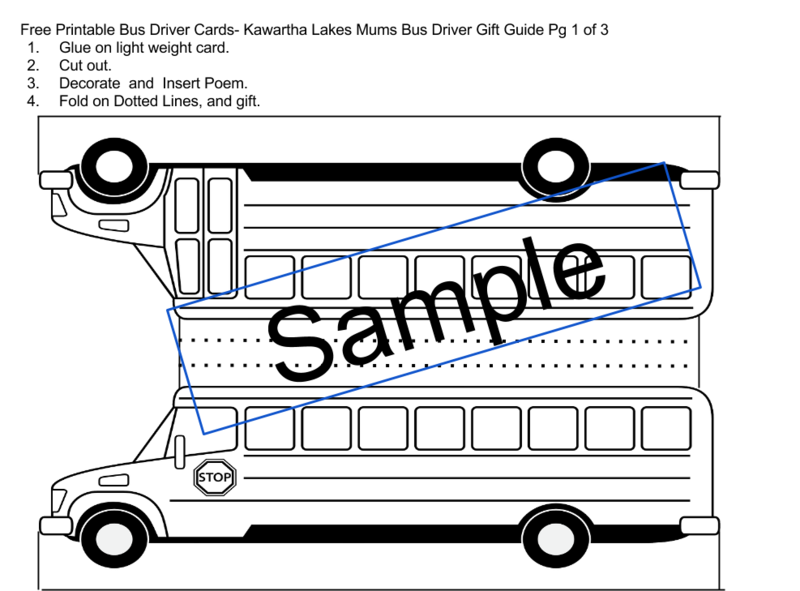 We created a free printable Bus Driver Card and Gift Package. This four-page free printable pack has a 3 D card, poem, and survival kit. Download the free printable Bus Driver Card here Access the full kit by Subscribing, and leaving a comment with your subscriber's email. This free cup cozy knitting pattern from Craftsy is an intermediate level. You could personalize this by adding initial buttons. A thoughtful gift when accompanied by a coffee card and perhaps a reusable mug. 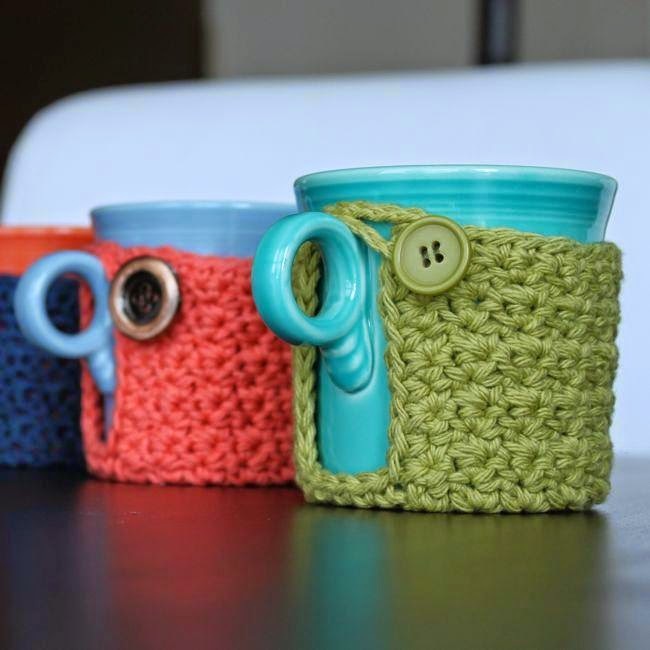 How about adding a mug along with a crocheted mug cozy? This may make that mug their favourite! This is a novice pattern on Craftsy is easier than a beginners pattern. Skills needed? Crocheting in the round, and following a pattern. Tweens could possibly make this gift. This is so cute! A little trickier than the novice pattern, this free beginner pattern will thrill the bus driver taking care of your little monkey. 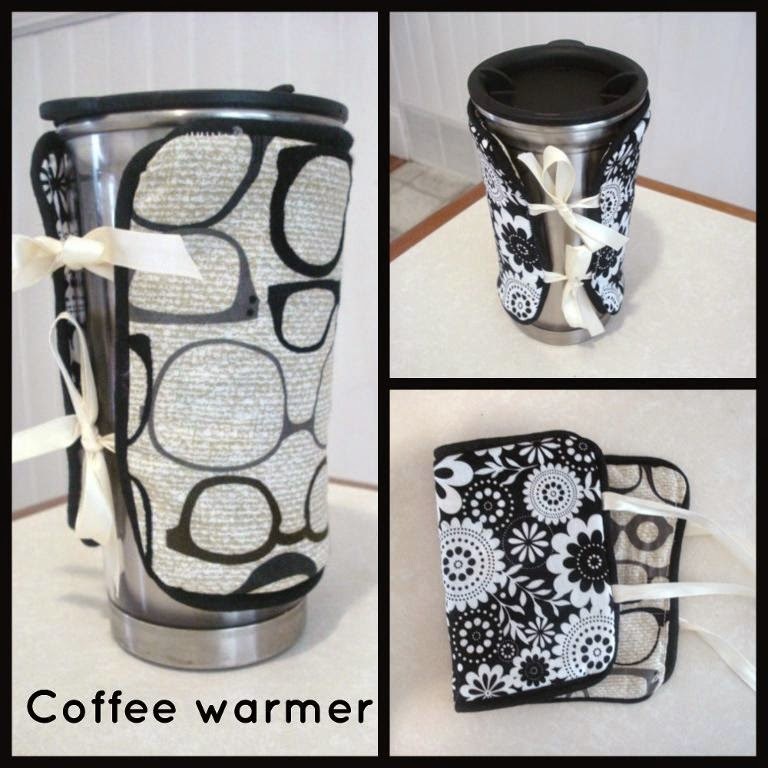 The free beginner cup warmer sewing pattern is reversible! 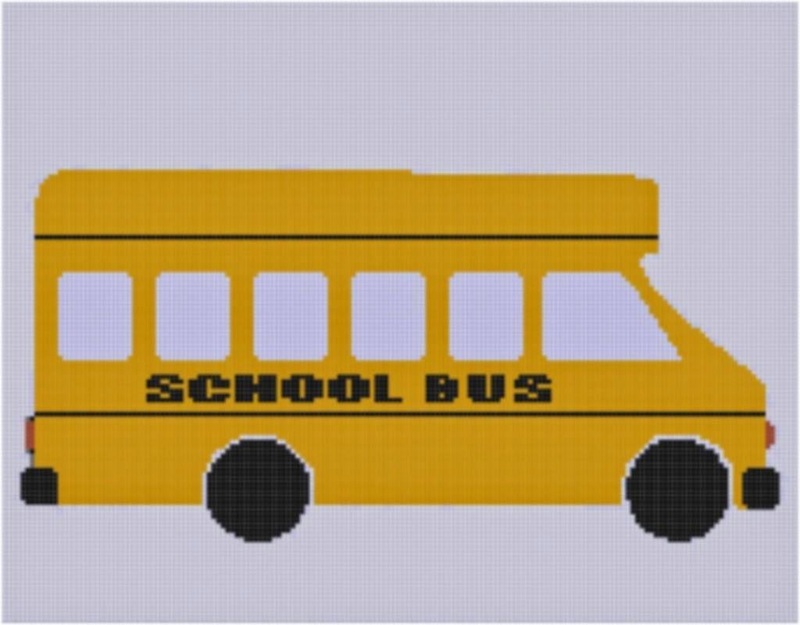 This school bus cross stitch embroidery pattern created by a mum paying off student loans, is currently only $1.03. This beginner level pattern has many uses. It could also be used as a colouring pattern for younger students to make a matching card! This Fair Isle knitting pattern speaks volumes about our rural bus drivers, and if crochet is more your style, use the pattern to do Fair Isle Crochet! 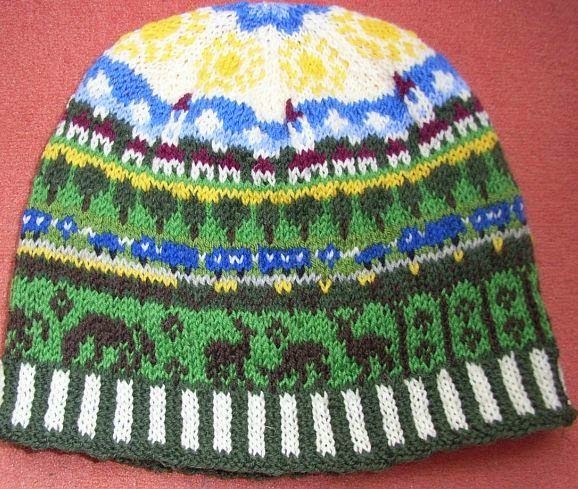 A more challenging knitting pattern with multi-strand knitting fits up to 52 cm around, and can be made larger by using thicker wool and larger needles. $4.53 on Craftsy. Learn Fair Isle Crochet a Unique Craftsy Course Currently on Sale! Crafting Not Your Thing? Try these Bus driver Gift Ideas! 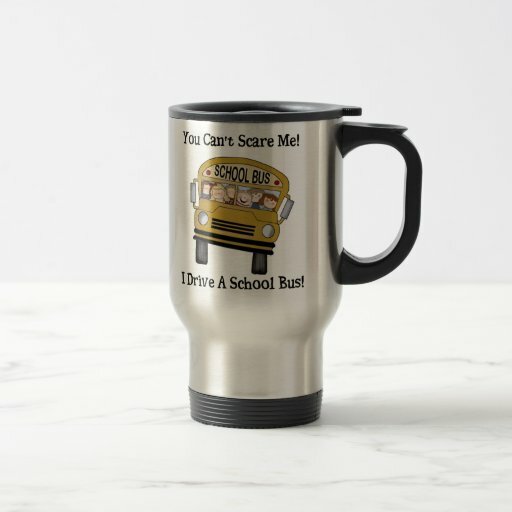 Bus Driver Mug - Zazzle "You can't scare me I'm a bus driver!Love this bus driver travel mug from Zazzle - you can even personalize it! My how this quip must be true for our bus drivers on some of these roads! Click to see larger on Zazzle. These cute personalized owl design post it notes, help put a name to your bus driver's face. 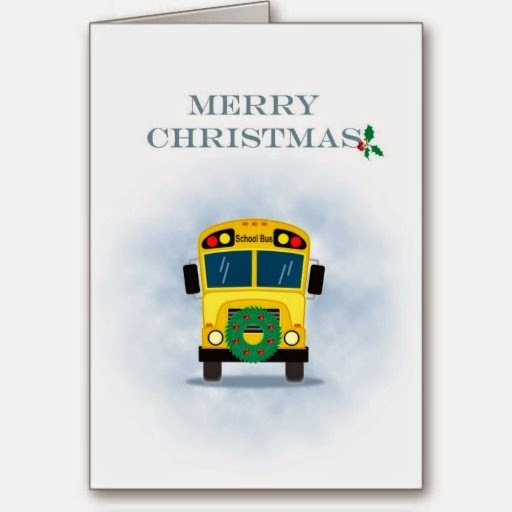 Personalize this School Bus Driver Christmas card from Zazzle. What would you write inside? 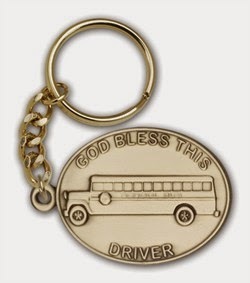 A lovely sentiment- "God Bless This Bus Driver" This fully engraveable School bus driver key chain by Bliss at the Jewel Basket is available in gold or silver tone. Choose from several fonts. On sale today 31% off, and save an extra 7% with coupon code new7 at checkout. It ships from the USA, so there may be cross-border duties. The School Bus Driver Visor Clip from JewelBasket, also comes in silver or gold finish, The clip fastens securely to the visor.JewelBasket is a certified dealer of Bliss products. Currently on sale 33% off and new shoppers can save an extra 7% with code new7 at checkout. An extra special school bus driver in your life? This would be a lovely gift from the whole busload of kids! From The Jewelbasket - this 14k white Gold and Diamond .10 cts also comes in yellow gold, comes with a bonus sterling silver key charm. The lobster claw will allow the charm to be attached to a bracelet or necklace. Currently on sale -39% off and new shoppers can get an extra 7% off with code new7 at checkout. Ships from USA, so there may be cross border duties. 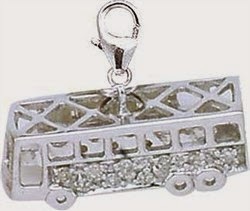 See full details about the gold and diamond bus driver charm at the Jewel Basket. We created a free printable school bus driver card your child might like to give, along with a school bus driver "survival kit" . The four page free printable includes: a 3 D printable card, bus driver Hero poem, and a free printable bus driver Survival kit. Here is the black and white printable card. Please leave a comment if you would like a link to other three pages of the free printable school bus driver "survival kit" package with your subscriber email, and we will add your email to the permitted users list. Here is a list of the latest Bus Updates: Nothing here? No Cancellations! Kawartha Lakes Students - Winter Weather Success Tips. In City of Kawartha Lakes if your child does not ride a bus to school, then they will be expected at school. Parents are asked to please make a quick call to the school on any day their child is not attending. Why? If your child is expected at school and does not arrive safely in time for classes,, the school will make phone calls to your home and emergency contact numbers, Making a quick call, will reduce delays in getting help to children who may be lost or injured on their way to school. So how can KawarthaLakes kids dress for success? Warmly and in Layers! Children are often involved in outdoor learning on snowy days. In bad weather, remember to have your children dress for the weather, and remember the sunscreen! Light reflecting off snow can cause sun damage. Especially in the winter months, students should dress warmly, layering indoor clothing. Make sure your child has lined boots, a warm coat and snow pants, hats and mittens or gloves. Having spare sets of socks and mittens, as well as snow pants, can make it much easier for children to have a happier and successful school day. We really like the features in these bib snow pants on sale now at Zulilly. The Arctic Quest bib snow pants have moisture-repelling fabric, adjustable straps and quick-zip construction guarantee a dry, easy fit that's built for downhill action. Two zipper-closure side pockets rest above hook and loop closure cargo pockets for added storage capacity. Gusseted zippers at the ankle make it easy to slip over boots, while the storm cuffs keep unwanted snow out. On sale right now at Zulilly - $24.99 less than half price. Now is a good time to grab 2 pair. See these Arctic Quest bib snow pants and more outwear on sale at Zulilly. Getting teens to wear warm clothes can be a challenge, but they might enjoy browsing the cold weather selections at Chief Supply- a company specialising in outfitting police officers, firefighters, and emergency crew. Chief Supply carries a full line of cold weather gear including UnderArmour hunting wear with Scent control which might help combat teen hormonal sweats. 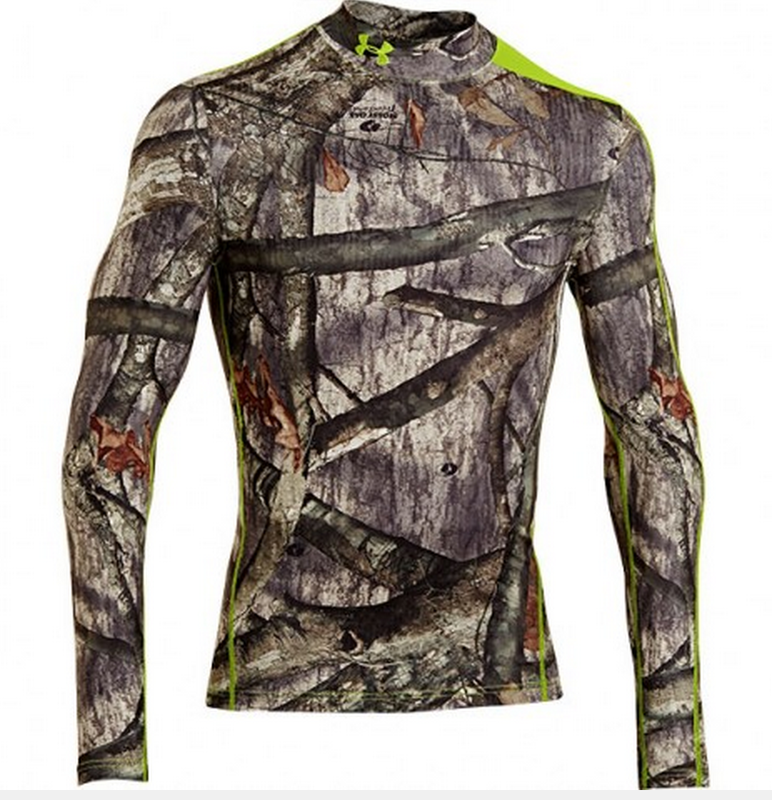 For example,The Under Armour Coldgear Infrared Scent Control EVO Mock features UA’s Infrared technology that is a coating on the inside of the shirt that absorbs and retains your own body heat, so you stay warmer longer. This is a compression fit long sleeve mock neck shirt with moisture wicking and anti-microbial technology. Find out more about Under Armour Coldgear on the Chief Supply website where you can sign up for emails for 15% off your order. School Bus Drivers Wish: Drivers -Winter Weather Driving Conditions Means Time for Changes! Slow Down -the roads are slippery. Leave space ahead of your vehicle. Make sure tires are properly inflated for maximum traction. Clear the snow storm off your car, so everyone can see. What recommendations do you have for ensuring our children get safely to and from school in the winter time? What gifts would you recommend for school bus drivers? Thank you for sharing so many wonderful ideas for bus drivers. Love the patterns you have included and can't wait to try them out. Which patterns do you like best? 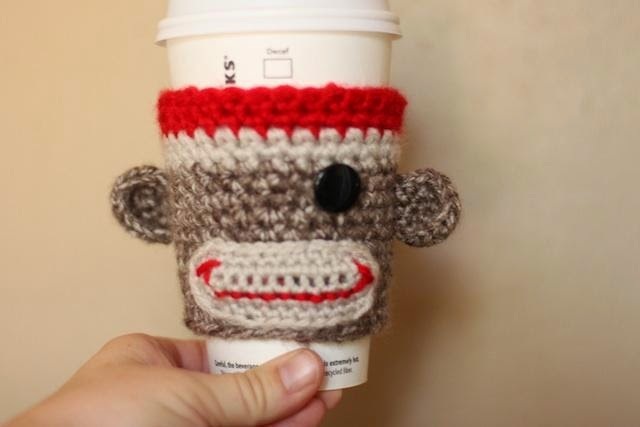 I'm rather partial to the sock monkey cup cozy. These gift ideas for the bus driver are simply perfect and I know they would be cherished.Thank you. Bus drivers really deserve kudos for delivering our children safely to school. I was delighted to find the school bus charm. 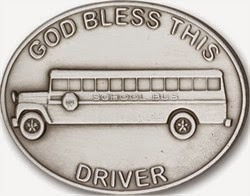 It would make a great group gift from all the children on a bus, or even from a school at a bus driver's retirement. Do you think they'd prefer the white gold as shown or the yellow gold? I like the coffee warmers. They are nice.